Saoirse Ronan is a famous actor who has charmed the audience worldwide with attractive looks as well as acting ability & performances. Mainly known for playing lead roles in romantic movies, Saoirse Ronan has worked with many other celebrities which have produced blockbusters romance movies. Here is the list of romantic films starring Saoirse Ronan. 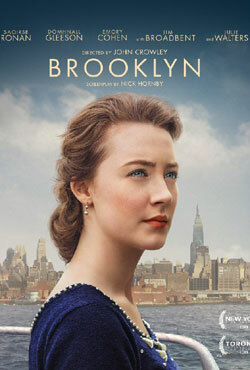 Eilis Lacey went Brooklyn to find employment and there she falls in love with a local. When she returns to Enniscorthy, County Wexford, a small town in southeast Ireland she starts dates with eligible and well-off bachelor, Jim Farrell. Later on she must choose between the two countries and the lives that exist within.